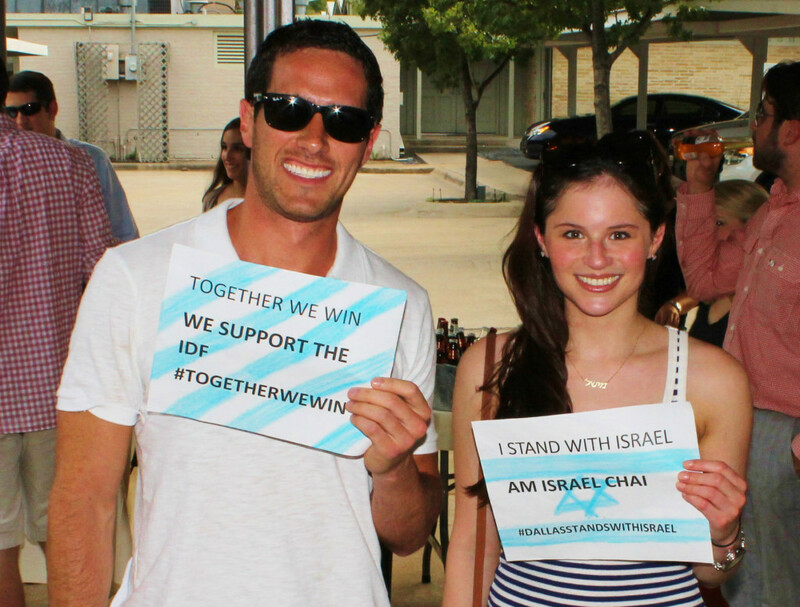 The message rang true last week that young Jewish adults stand with Israel. Nearly 200 gathered to show their support for the State of Israel and its people. Community member Alex Molayem, along with Makom and the Intown Chabad, which both serve young adults, hosted “BBQ for a Cause” July 23 at the Intown Chabad. The evening included food and music, writing letters to members of Congress and more. Molayem got the idea for the event last week with the plans coming together in three short days. Having visited Israel several times in the past, he knew something needed to be done to make a difference. So far, about $10,000 has been raised from online donations and the event itself, and contributions are still being accepted. The funds benefit International Young Israel Movement (IYIM – Israel), whose mission is to help Israelis living in areas most vulnerable to rocket fire through social welfare programs, education, trips for children and other activities. Rabbi Zvi Drizin helps Matthew Prescott lay tefillin as a way to honor the security of Israel. 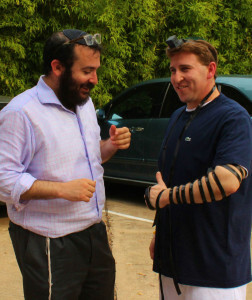 During the barbecue, guests took photos with signs that read “Together we win, we support the IDF” and “I stand with Israel, Am Yisrael Chai.” Close to 50 men laid tefillin as well, which is a way to honor the security of Israel, according to Rabbi Zvi Drizin who runs the Intown Chabad. Drizin said he was pleased with the attendance and that it’s very telling of how the younger generation feels about Israel. Elana Lavi, who cares deeply for Israel, said it was unbelievable to see so many people unite for a meaningful cause. Supporting Israel is even more significant to Drew Alyeshmerni right now. The executive vice president at the Southwest Jewish Congress lived in Israel for several years and served in the IDF. For more information about IYIM and to donate, visit www.jewcer.com/project/fund-trips-for-children-under-rocket-fire.